Our Madagascar Bourbon vanilla's strong natural vanillin flavor makes it excellent for baking and ice creams. 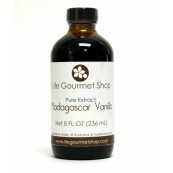 This pure vanilla extract is made of from Madagascar Bourbon vanilla beans. Our Madagascar Bourbon vanilla's strong natural vanillin flavor makes it excellent for baking and ice creams. 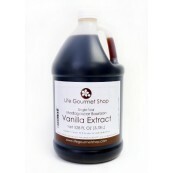 This pure vanilla extract is made of from Madagascar Bourbon vanilla beans. The way it is made corresponds to a gourmet standard where the concentration of the aromas is skillfully measured and sustained. With its rich, dark and creamy flavor combined with classic vanilla aroma make for a pure vanilla extract we know you will love. 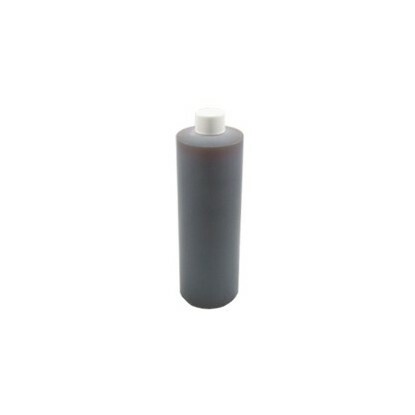 While most extracts on store shelves have additives like corn syrup or sugar to give them some sweetness, this extract is made from hand harvested vanilla beans, a touch of water and alcohol. Nothing else. Please note that our vanilla extract does not contain SUGAR as one of the ingredients. Understanding the Strength in Vanilla Extract Single fold, Double fold, etc. The Food and Drug Administration (FDA) has specific regulations in the United States regarding commercial extract manufacturing. The FDA requires a minimum of 13.35 ounces of vanilla beans to a gallon of a minimum of 35% alcohol to 65% water mixture for a product to be labeled as pure vanilla extract. The word “fold” indicates the concentration of liquid vanilla extractives. 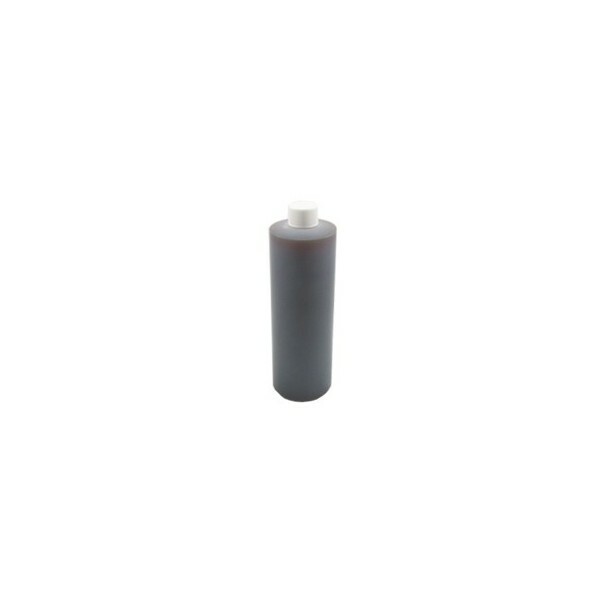 Single fold or 1X is the standard concentrate of pure vanilla extract where 13.35 ounces of vanilla beans are use to make one gallon of pure vanilla extract. Double fold or 2X is twice as strong meaning that 26.70 ounces of vanilla beans are use to make one gallon of pure vanilla extract. Single fold vanilla extract contains the vanilla extractives, water and alcohol proportions mentioned above. Double fold has twice the amount of vanilla bean extractives but the same amount of water and alcohol as single fold. Add vanilla flavor to baked goods, as it mixes easily into batters. Aside from being used in overtly vanilla flavored desserts, pure vanilla extract enhances other flavors like chocolate, coffee, fruit, and nuts. It is also used in all kinds of cookies, cakes, and pastries. A number one benefit of vanilla extract is that it can be used to help calm the stomach when you are feeling nauseous. You simply add a few drops of the extract to a glass of water and sip slowly on it. Vanilla extract was used to heal wounds. It is debatable whether or not this is a good use of vanilla extract today. Some people who believe in homemade remedies do use it. How should Vanilla extract be stored? 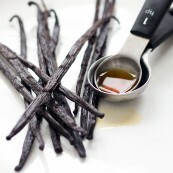 Vanilla extract is best stored at a cool to moderate room temperature (60-80°F) and in a dark environment. Kitchen cupboards are usually a great place to keep your vanilla extract, as long as you do not store it over a stove or near a heat source. Also, do not store vanilla extract in the refrigerator or freezer as low temperatures will cause vanilla extract to become cloudy. What is the shelf life of my vanilla extract? When stored properly, vanilla extract will keep indefinitely, but using it within five years will allow for best flavor and aroma. Do not refrigerate or freeze, even after opening. Vanillin is one of over 250 flavor compounds in vanilla. Several tests can isolate and measure the natural vanillin content of pure vanilla extract, making vanillin a useful quality indicator. The best vanillas have high levels of vanillin. Why does vanilla extract contain alcohol? 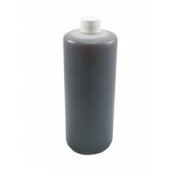 Vanilla extract is required by the government to contain 35% alcohol. Alcohol is the most effective way to extract flavor from vanilla beans, and the alcohol will evaporate when heated in cooking or baking. Liquid vanilla products made without alcohol are called vanilla flavoring. Can I make my own vanilla extract using vanilla beans? It is a common misconception that you can make your own extract by soaking vanilla beans in vodka or another alcohol. It is not that simple because there are many heating and pressurized elements that vanilla beans go through to make vanilla extract. However, you will end up making a great tasting vanilla vodka recipe! Why does vanilla extract cost so much more than imitation? Vanilla is one of the most labor intensive crops in the world. It takes three years for a vine to produce vanilla beans and even when it is ready to flower the pollination process must me done by hand. Then it takes another year for the bean to grow, be picked by hand, cured and shipped to its destination. Imitation vanillas are made from chemicals and other ingredients that imitate the taste of vanilla but do not go through the same process therefore do not have vanilla’s true flavors.